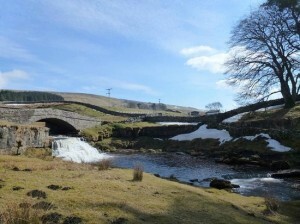 Garsdale is a more of a valley than a village, situated on the edge of the Howgill Fells on the slopes of the Pennines. Historically, it was part of West Yorkshire as it is in the Yorkshire Dales, but Cumbria eventually laid claim to Garsdale in in 1974. Today Garsdale is one of the stopping points on the famous Settle-Carlisle railway and is the only station on the line that still has a fully working signal box. Whatever side of the border you are from, the Hog Roast Garsdale team can help you celebrate in style for any special occasion you are hosting in Garsdale with our unrivalled hog roasts, imaginative menus and flexible approach to event catering. Today houses in Garsdale are mainly used as holiday homes and if you are planning a weekend birthday celebration in a holiday cottage with friends and family and you are stuck for catering ideas, Hog Roast Garsdale could give you a garden party you will never forget. 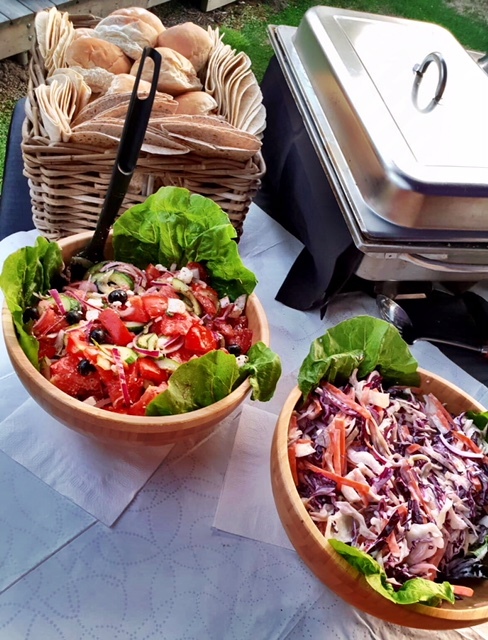 We don’t just do large-scale catering- we are also a popular choice for smaller private parties and because our chefs are so multi-skilled, and our equipment is so efficient, we can successfully operate with minimal staff and still provide you with a fabulous feast. Our cutting edge hog roasts machines vary in design, which allows us to prepare and present the meat in either a pulled pork style, which is a popular choice for large buffets, or be slowly spit-roasted and sliced for more elegant presentation befitting to formal wedding receptions, for example. As spectacular as our meat is, we realise that it is important for our menus to be as diverse as possible and one of the many reasons we are considered to be the best hog roast catering company in the area is because that isn’t all we offer. If you prefer beef, salmon or a vegetarian option, we can provide it. We also cater for guests with different dietary requirements and have gluten-free substitutes if required, and we can adapt any of our menus to ensure everyone’s needs are met. Here at Hog Roast Garsdale, we always guarantee that no matter what your guests’ preferences are, we can offer them delicious food that everyone will love.